Sometimes going green isn't aimed only at better fuel economy. You might say that sometimes it's getting the best available fuel economy without losing an ounce of aaahhh or oomph in the process. That applies to the 2014 Audi Q5 hybrid luxury compact crossover or its newest, clean diesel stable mate. We'll let you decide. Automakers have been playing what could seem like a game of chance in determining what will be the very best eco-friendly technology, as mandated U.S. fuel economy standards get more rigid and consumers get more confused about the best way to go. Should it be a hybrid that uses a combination of battery and gasoline engine power, or go with a diesel that is less intimidating from a technology standpoint, but can get more mileage from a fill-up? If covering all your bases is possible, it seems that Audi has taken that high road with its offering of a hybrid version of the Q5 and a new diesel powered one, as well as its petrol-only staples. We won't address the dynamics of the new high performance SQ5 here (155-mph top track speed), as that could be seen as anathema to the eco-friendly side. For those who need to transport five in luxurious comfort, the Q5 could be an ideal solution. The priciest of the fuel conscious versions (which seems like a no-brainer) is the hybrid Q5 that uses a 2.0-liter 245-horsepower inline four engine paired with an electric motor for a combined 245-horsepower and 254-lb. ft. of torque. It clocks in with a $51,300 base price, earning EPA ratings of 24 city/30 highway miles. Of the five engine offerings for the Q5 (in addition to gasoline only inline four and V-6) the 3.0-liter V-6 turbo diesel is the next and newest Q5. Generating 240-horsepower and a hefty 428 lb. ft. of torque, it earns one more highway mile than the hybrid at 31, but stays the same at 24 mpg for city driving for a combined rating of 27. The TDI's base pricing is a more budget-minded $46,500. But those high ticket items point out what every wannabe Audi owner certainly knows—that no matter how environmentally conscious one might be in choosing a vehicle, when you're paying premium prices you expect to get premium perks out of the deal. So what does the Q5 offer in the way of amenities, both in driving manners and the way it strokes the owner? Besides keyless start, once inside there's leather (luscious Milano leather when fitted with comfort seats), aluminum and all-natural walnut trim and a heated/cooled cup holder to ensure drinks are kept at optimal temperature. The hybrid version gets Audi's Bang & Olufsen premium Sound System with 14 speakers as standard equipment. And "Audi connect" can mate with as many as eight wireless devices at one time. Navigation and side assist to monitor blind spots and sense rapidly approaching vehicles adds safety to the internal luxury mood. Seats recline and comfort controls are operated independently to ensure a maximum "aaaahhhh" factor. Gray instruments with white needles, aluminum pedal inserts and a sporty, three-spoke flat-bottomed steering wheel with paddle shifters remind one of Audi's "own-the-road" character, even while behaving environmentally. A Q5 biggie is "quattro" drive on all versions. That's Audi talk for its all-wheel-drive system, and a clear indication this is a go almost anywhere vehicle when driving conditions get tough, such as during a Midwestern midwinter blizzard or blazing through pools of water on rain slicked roads. All Q5 power plants mate to an eight-speed Tiptronic automatic for smooth, supple handling and a stingier need for fuel in the process. Technology under the hood of the hybrid is fed from a Lithium-ion battery pack. And despite its earth friendly demeanor, it can blaze from 0 to 60 in a respectable 6.8 seconds, so it won't be left behind at stoplights. Audi calls the Q5 "sporty and sophisticated, spacious and functional." With driving dynamics a priority, even in the glow of green, a sophisticated safety feature is added for 2014 to ensure that sporty driving won't get out of hand. A roof rack detection system communicates with the Electronic Stability Control (ESC) when roof rack crossbars are installed. 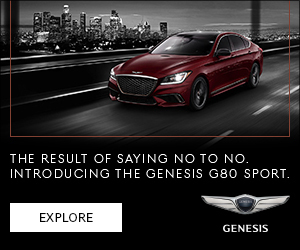 It's as if it's sending a signal that "Hey, we're packing luggage up here so don't go overboard on driving dynamics." The ESC adjusts for the expected shift in the center of gravity, now presumably higher up with the added load overhead. That's a nice touch for those who don't want to launch a rooftop kayak from a sudden stop at water's edge. For more information on Audi green vehicles, click here.